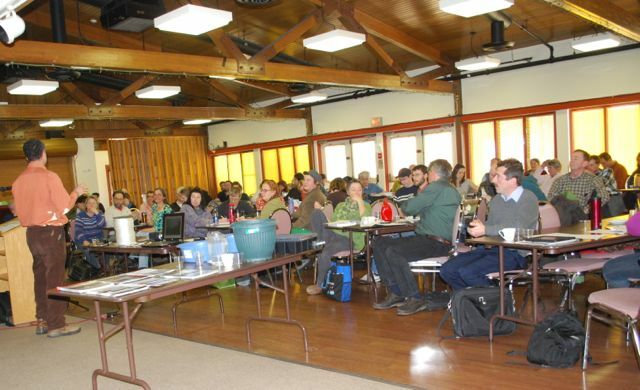 Close to 100 growers attended ACORN’s technical greenhouse session The Greenhouse Effect February 28-29 in Debert. 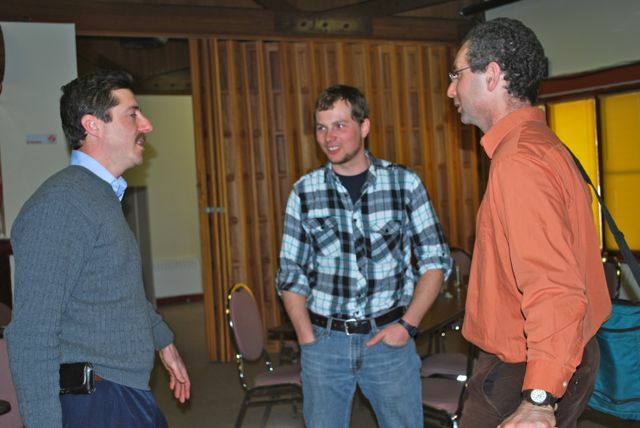 It was great to connect with other growers and share knowledge with the snow blowing outside. David made a presentation about economical season extension using a modified Hanley Hoophouse. Growers in the audience were able to contribute to this work-in-progress. A new materials list emerged as people discussed the idea and 8 growers (that we know of) combined to order plastic, metal hoops, rope, and clips for their hoop houses. 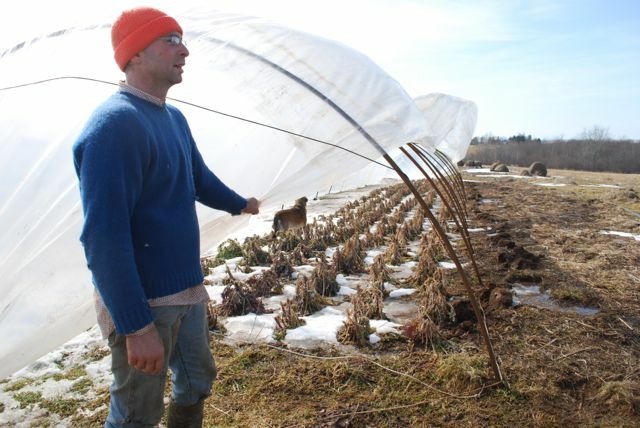 David set out to put up a hoop house on March 8, but the weather forecast was predicting very high winds. 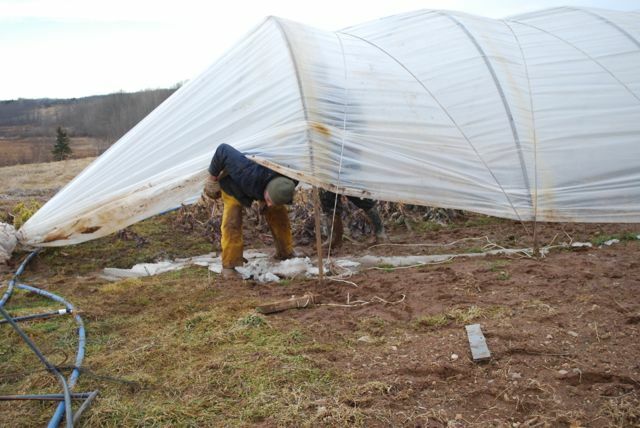 No problem — he put the plastic down again, and proceeded to put the hoop house up the next day after the wind died down. I’ve posted a few photos below. 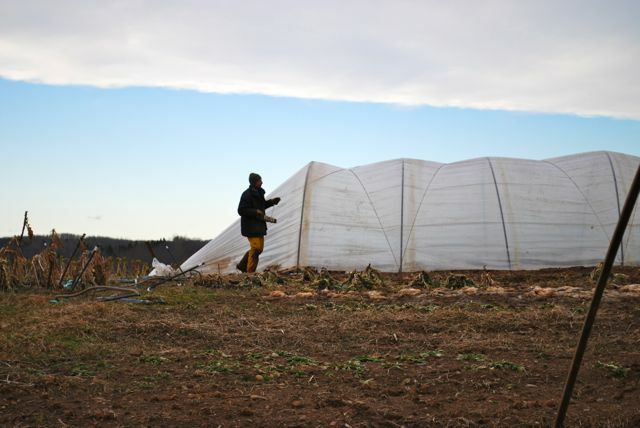 This entry was posted in efficiency, growing vegetables, season extension and tagged Hanley, hoop house, kale, season extension. Bookmark the permalink.